Albina Jenda, 90, of New Britain, died peacefully surrounded by her loving family on Wednesday, April 3, 2019. She immigrated to the U.S. in 1978, to begin a new life for herself and her family. She was a devout Catholic and a parishioner of Sacred Heart Church. Albina loved spending time with her family and was always the first one with her bags packed when there was talk of a family trip. She especially enjoyed traveling to Arizona and Florida. Day trips to the casino were also a favorite place to go. A talented gardener, she grew the most beautiful flowers and hearty vegetables. Her delicious cooking was a favorite of all. 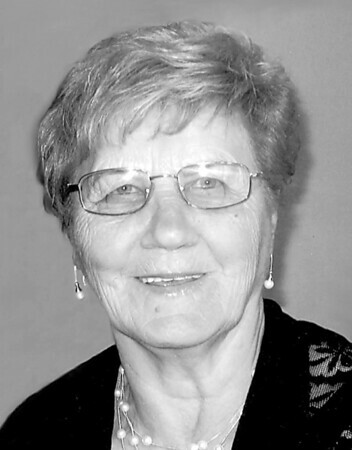 Albina is survived by her children, Ryszard Jenda and wife, Danuta, Irena Zyzdorf, and Bozena Piotrowicz and husband, Jerzy; her adored grandchildren, Tomek, Mirek, Monika, Pawel, Mikolaj, Lukasz, Marzena, Joanna, and Iwona; and her 13 cherished great-grandchildren. Relatives and friends are invited to call on Monday, April 8, from 5-7 p.m. at the Duksa Family Funeral Homes at Burritt Hill, 332 Burritt St., New Britain. A brief visitation will begin at Burritt Hill at 8:45 a.m. on Tuesday, April 9, followed by a Mass of Christian Burial at 9:30 a.m. at Sacred Heart Church, New Britain. She will be laid to rest in Sacred Heart Cemetery. To share a message of sympathy with her family, visit www.duksa.net . Posted in New Britain Herald, on Friday, 5 April 2019 19:15. Updated: Friday, 5 April 2019 19:17.